Northside Methodist partners with an outside scholarship granting agency, Scholarships for Kids, to provide financial aid for students with financial need. The number of scholarships available is set by Scholarships for Kids. The school will not know exactly how many new scholarships are available until late summer. 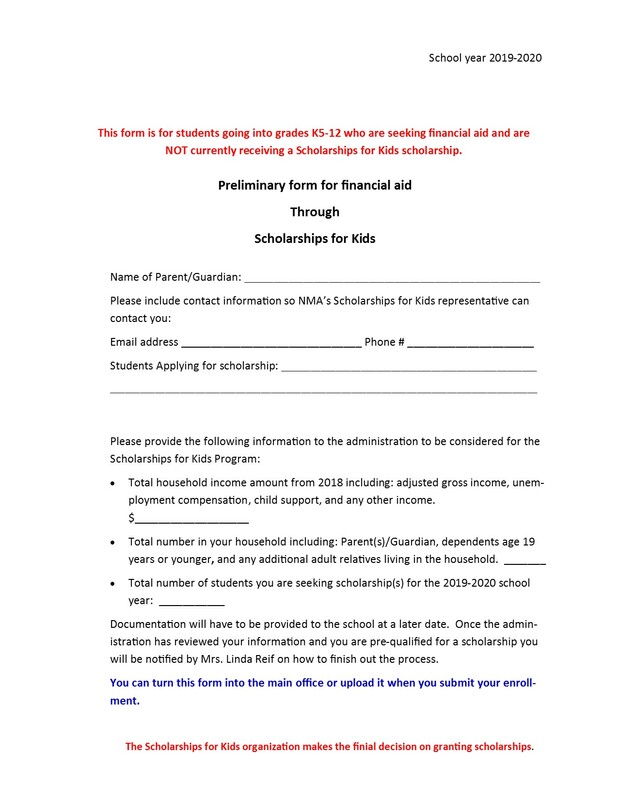 If you would like to be considered for scholarship please fill out the preliminary form and submit it to the school. Be aware that Scholarships for Kids will not grant a scholarship if your student is not fully enrolled. For more information, please visit their website at www.scholarshipsforkids.org or contact Mrs. Linda Reif at Northside Methodist Academy.